Last weekend’s Sunday Age opinion piece by Chris Berg of the Institute of Public Affairs reflects one of the major reasons so many Australians – particularly the young – are disengaging from mainstream politics says Melbourne writer and philanthropist, Leslie Falkiner-Rose. At a time when many of us are repulsed by toxic debates, Mr. Berg seems intent on turning a discussion over how we teach young Australians to think about their role as citizens into partisans punching at words. Yes, language is crucial to how issues are framed. But wouldn’t it be more useful to discuss how we engage and inspire actions in those who will vote on our future? On many measures, we are becoming an increasingly fragmented society and, as the recent Lowy Institute survey shows, one that does not value our democracy. Common sense would suggest we need to find ways to help individuals become more involved – be that through talking to a neighbour or advocating on a world stage. Mr. Berg says liberals should be “appalled” at the emphasis on civic duty. I may be naïve but to me civic duty means people doing their bit as best as they can. Civic engagement is political in that any democracy is only as good as its citizens. But the teaching of it does not involve telling people what they should do: it’s about giving them the skills, confidence and tools to act in whatever way they think will improve their world. Mr. Berg argues that the Civics and Citizenship Shaping Paper of the new Australian Curriculum, that is currently open to feedback, reeks of left-wing values. But when did acting in the common good – a.k.a thinking of others instead of just oneself – become only of concern to one side of politics? Surely acting for the common good is the foundation of civilised communities. Likewise when did sustainability – a.k.a living in a way that might preserve something good for our grandchildren – become only a left-wing affair? Mr. Berg calls social justice a ‘vague and loaded concept’ akin to ‘fixing inequality’, but is social justice an inappropriate aspiration for a nation allegedly founded on notions of fairness and equity? The Civics and Citizenship Curriculum Shaping Paper does place a good deal of emphasis on political process and institutions, the traditions Mr. Berg bemoans as being missed. To inform our future, of course we need to understand the history of how our democratic scaffolding was erected. But it’s the people and their values that are the heart of any democracy. Families and close communities build our moral foundations, but students can also be taught to rigorously question and think through the ethics that will intimately underpin decisions they make for themselves and others. Learning to think critically and openly can help them to experiment with ways to stand in others shoes and consider different worldviews. Chris Berg fears the possibility that the “civics subject will pound into children that they should work for international Not for profit groups in order to pursue “the common good”. Oh, that we should be so lucky. I’d be happy if, from an early age, civics teaching encouraged each of us to look past our noses and busy lives to lend those in need a bit more of a hand. When it comes to the use of words in the Civics and Citizenship Curriculum Shaping Paper, my beef isn’t about the ones that are used; it’s about a major one that is left out. That would be philanthropy. Its omission may be partly due to philanthropy being perceived by some as only rich people donating their money. But many of us in the sector would argue that it is much broader and deeper than that. Acts of philanthropy involve the strategic use of one skills, money and/or talent for (dare I say it) the common good – be it an hour volunteering or the Bill Gates style transfer of wealth. The values that inspire philanthropic acts are largely those that also underpin a healthy democracy. They are the glue that binds our communities. Civic duty and the common good aren’t about political rhetoric. They are about each of us finding our bigger selves. 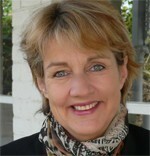 Leslie Falkiner-Rose is a Melbourne writer and Trustee of the Ruffin Falkiner Foundation.